The food and beverage sector in Vietnam has shown strong growth in the last decade, driven by not only foreign brands, but also local brands. In the last few years, numerous foreign brands have invested heavily in the market and are predicted to continue to do so, largely driven by rapid urbanization, increased spending, and growth of the middle-class population. Local brands offering Vietnamese cuisine and street food are also emerging as a tough competitor to the global food chains. In fact, foreign fast food chains in the last 2-3 years have underperformed and slowed down their expansion plans due to consumer preferring the local taste and lower prices. However, few foreign brands such as Jollibee, Lotteria, and KFC who were early market entrants are performing much better in comparison to new players such as McDonald’s, Burger King or Subway. According to Decision Lab, a Ho Chi Minh City-based market research firm, the out-of-home consumption for food and beverage, are divided into a number of segments, of which full-service restaurants and quick service restaurants lead the group at 36 percent each. Street food accounted for 11 percent, while convenience stores, canteens, bars, clubs, and hotels account for the remaining share. 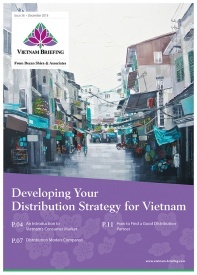 According to the study, 35 percent of the Vietnamese out-of-home consumption share is from Western food, driven by the growing number of foreign franchisees. The share of Western food in the F&B market has been growing steadily as more and more companies introduce new food products catered to local taste, rather than continuing with their already existing menu. As per the study, in Q1 2017, there were 328.6 million visits to foodservice outlets and breakfast accounted for almost a third of the visits at 30 percent. 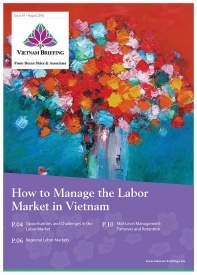 This has been attributed mostly to the modernization of traditional Vietnamese cuisines, growing number of convenience stores, and increasing number of urban office professionals. Location has been highlighted as the main criteria for choosing a restaurant due to the growing urban population and traffic. About 63 percent of the surveyed population highlights location, followed by cleanliness, and food quality at 34 percent each as the top three criteria for choosing a restaurant. With the growing internet and smartphone penetration, restaurants have also started focusing on online ordering to increase their sales. Online ordering currently accounts for almost half of all food delivery orders in the major cities. Registering for establishing an enterprise by obtaining an Enterprise Registration Certificate (ERC). Commitment to environment protection before officially operating. It usually takes around 30-45 working days from submission of final application dossier to the authority for obtaining the Investment Registration Certificate. Following the Investment Registration Certificate, it takes around 7-10 working days for obtaining the Enterprise Registration Certificate. 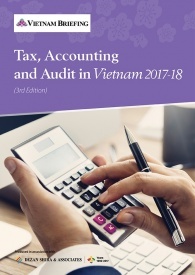 After the completion of licensing process, it usually takes another two weeks for obtaining seal and tax code registration. Franchising in Vietnam started in the 1990s with the entry of fast food chains such as KFC, Lotteria, and Jollibee. As per January 2017, 160 foreign brands had registered their franchising businesses in Vietnam. Food and beverage franchises accounted for 30 percent of the registered franchises. 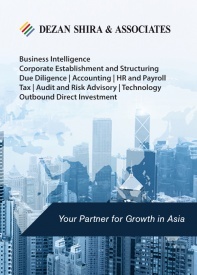 Most of the overseas firms are from US, South Korea, and Thailand. 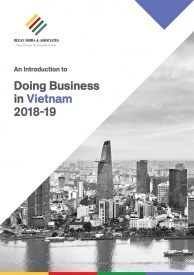 Not only the foreign brands, but also local brand such as Trung Nguyen Coffee, Kinh Do Bakery, Wrap and Roll, Café Cong, AQ Silk, and Shop and Go, have allowed franchising to increase their presence. Goods and service used should not on the Government’s list of banned good or services. If they are on the restriction list, one has to obtain a special license. Other documents as required by the competent authority (including the franchise agreement or form of agreement). Cold storage is classified as climate control logistics, which refers to a system controlling the temperate and humidity to increase the storing period for particular categories of goods. The first commercial cold storage was built in 1996, by Konoike VinaTrans, a joint venture between Konoike transport Co. Ltd (Japan), Vinatrans Co. (Vietnam), Vinalink Co. (Vietnam), and Vinafreight Co. (Vietnam). Since then, the development of cold storage logistics was relatively slow until 2007, after which the cold storage market grew rapidly. The demand for refrigerated deliveries and warehouses has mostly developed around major population centers, with current occupancy rate reaching 90 percent at all facilities. The industry capacity has quadrupled in the short span of 10 years, highlighting the growing use and importance of cold storage solutions in the retail and food & beverage sector. Foreign companies lead the market in terms of modern facilities, while local players dominate in terms of capacity. The growing number of convenience stores, food chains, and retail stores are largely responsible for the rapid growth in the last decade. Agricultural products in Vietnam have an average loss rate of 25-30 percent during harvesting, processing, storage, and transportation due to a lack of cold chain infrastructure in the country. 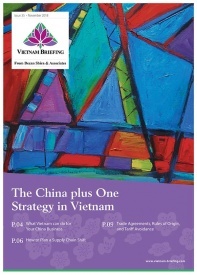 Vietnam is expected to have about 1,200-1,300 supermarkets, 180 shopping centers, and 157 department stores by 2020. Distribution centers including cold storage offer investment opportunities for foreign investors, as such centers continue to increase in capacity and number to satisfy the increasing demand of the F&B and retail sector.